Selecting the right commercial fitness equipment is essential when developing any type of fitness center. Whether you are designing a small-sized gym for a school, hotel, workplace, or community center, or a larger, more specialized training facility, you want to make sure you are meeting the fitness needs of those who will be using the facility. Understanding what type and grade of exercise equipment to purchase is key to developing a winning solution. Step 1: Who will be using the fitness equipment? It is important to understand the fitness needs and goals of gym members or users. Will the gym be used by just a few people or larger group? Do the users have similar fitness needs or a wide range? Will they be exercising at the same time? Different times? What are their exercise goals? Cardio, strength, specialized training? Step 2: What is your budget? Once you have determined the needs of your target users, it is important to align your budget with the grade of equipment best suited for your facility. Larger fitness centers that will be used by multiple people should be equipped with light commercial or full commercial grade exercise equipment. This equipment is designed with greater durability to withstand repeated use. Because it is more durable, it can cost a little more than cheaper home models found in retail chains. But it will keep your facility up and running longer, without the need to repair or replace broken equipment that is being used beyond its intended limitations. Light grade commercial exercise equipment is intended for medium use, generally no more than 6 hours a day. If your facility will experience heavier use than that, you should opt for full commercial fitness equipment. It is important to pay attention to weight specifications when choosing equipment for a commercial gym or fitness center. 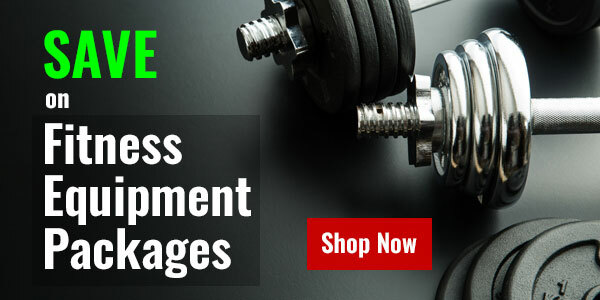 If members are heavy or obese, it is important to choose equipment specifically designed to handle heavier weights. If your fitness center will only be used by 2-3 people, and you have a tight budget, home equipment may suffice. However, some manufacturers do void their warranties when home equipment is used in a commercial setting. When shopping, check product specifications to ensure you are buying the right grade of equipment. Step 3: What are your space limitations? Before starting shopping, it is important to determine how much space is available for equipment. Exercise equipment is available in a variety of configurations, from specialized to multi-purpose. Smaller gyms might want fewer machines that work multiple muscles. While larger gyms might want to offer a broader range of workout choices. To ensure a comfortable and safe workout environment, it is important to leave some space around equipment and provide proper flooring. Here are some recommendations for equipment in a typical commercial gym or fitness center. Commercial cardio fitness machines, such as treadmills and ellipticals, and exercise bikes come in different forms. Users can often spend 30+ minutes on a cardio machine, so having several available is a good idea for larger gyms in order to reduce wait times to use the equipment. Commercial strength training equipment includes weight machines, power racks and smith machines, as well as free weights and weight benches. Flat benches and incline benches are both desirable. Free weights should be provided in a selection of several different weights to meet the needs of different users and different exercises. To store the weights neatly and properly, you will want a selection of different-sized weight racks. For flooring, consider thick padded mats especially designed for use in gyms. By setting up a safe and comfortable exercise space with a variety of cardio and strength training commercial fitness equipment, users will better meet all of their fitness goals. Setting up a brand new gym? See why leasing fitness equipment might be a good option. Need help choosing equipment? Or interested in a free custom quote? 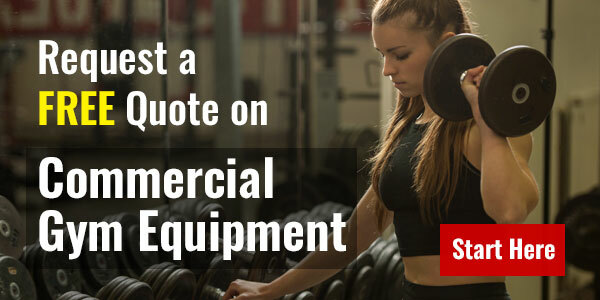 Contact our fitness equipment experts at 1-800-895-4181.